What do you do when your usual tactics do not work, when your dependable flies let you down, when the water's acting funny? What do you do when your best attempts o match the hatch and make drag-free-drift presentations fail? Ed Engle has-been a staple of Rocky Mountain West fishing for many years and has found the best solutions to challenges that vex fly anglers everywhere. In TROUT LESSONS he shares what he's learned in straightforward, no-nonsense lessons for finding and taking the toughest trout under some of the toughest conditions. Taking trout on lightweight rods with flies as small as size 20 to size 30 is a challenge. Learn to imitate midges' trailing shucks and drowned adults, tie tiny parachutes and wing-winged Tricos, and create patterns that mimic microcaddis and micro-scuds. 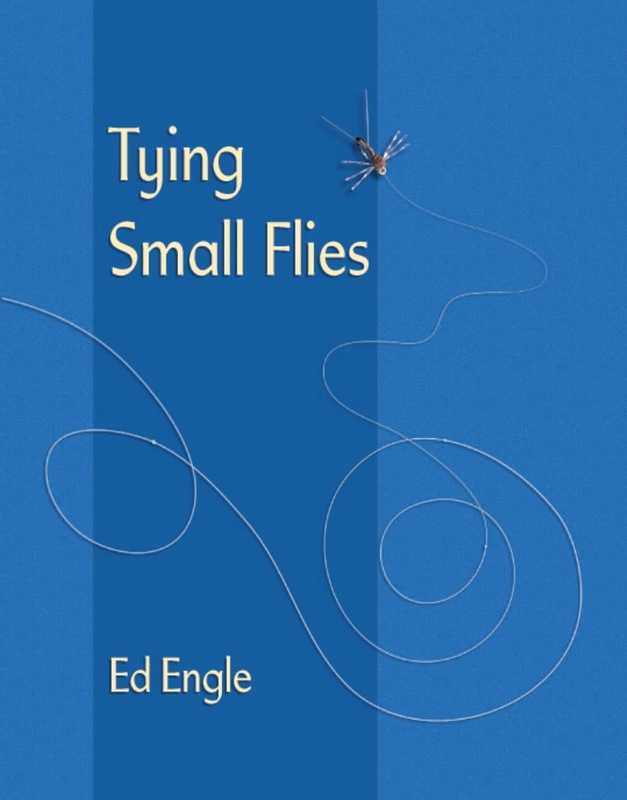 Engle covers small-fly history, tying tools and materials. 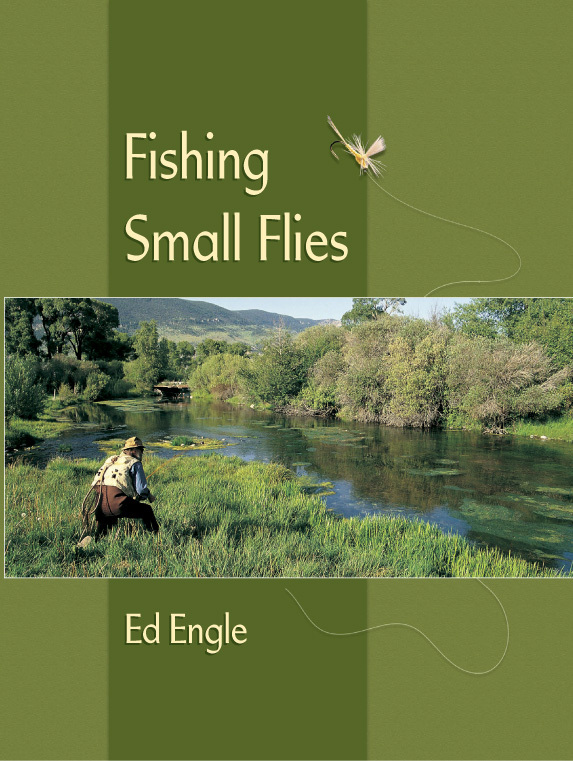 Tips on fishing techniques come from Ed's 30+ years of experience fishing small flies on Colorado's South Platte River and other "small-fly" waters throughout the United States. Most small-fly books concentrate on the fly patterns, but presentation and tactics are just as important as the pattern itself. Small-fly fishers must carefully observe the trout and constantly adjust their techniques as they go. Engle covers the difficulty of detecting strikes and how to best play trout caught on small flies and gives advice on the aquatic insect orders and how to fish the hatches, depending on the water and the stage of the hatch. Engle describes fishing specific waters, including tailwaters, freestone rivers, and spring creeks. The old-school bamboo fly-fishing rod, with its irresistably warm, natural, and romantic tradition, is explored through conversations with 16 bamboo rodmakers. Profiled in the book are Mike Clark, Walt Carpenter, John Bradford, Jim Hidy, Homer Jennings, Joe Arguello, Jeff Wagner, charlie and Steven Jenkins, Glenn Brackett, Ted Knott, George Maurer, Robert Gorman, Bernard Ramanauskas, Dwight Lyons, Don Schroeder, and Carl-Johan Anderberg. The author test-casted the rods and then interviewed the makers to get the story behind each rod's making. Many anglers have mixed feelings about dams. On one hand, they disrupt the natural cycle of rivers, frequently with disastrous results to teh ecosystem; on the other, they create phenomenal trout fisheries where often none previously existed. Because dams regulate flows (taming spring runoff in the process) as well as water temperatures (usually only the colder water from the bottoms of reservoirs spills through), the rivers below dams, called tailwaters, frequently contain huge insect populations and huge trout, that feed upon the insects. Most trophy trout streams are now tailwaters, think of the Bighorn in Montana, the Green in Utah, and the San Juan in New Mexico. In Fly Fishing the Tailwaters, Ed Engle tells anglers how to approach theses monster trout factories, with tips on equipment, fly selection, and fishing technique. OUT OF PRINT, but still available online. After graduating from the university of Colorado, Engle, a member of the Woodstock generation, tried his hand at various minimum-wage jobs - landscaping, quarrying - then found work as a seasonal employee with the U.S. Forest Service. this is his engaging account of his 12 years as a "timber beast." Engle has manned visitor centers, maintained campgrounds, inventoried timber, supervised tree planting, fought forest fires. The work clearly suits him. He introduces readers to colorful characters hired by the Senior Community Service Employment Program and describes a mountain race - 11 miles up, seven miles down - that will have the reader gasping. Engle writes that he finds time to fish, look at birds and other wildlife, enjoy scenery. Nature lovers will appreciate his attitude. OUT OF PRINT, but still available online.